For many years, consumers were largely limited to the choice of charcoal vs. gas when it came to barbecuing options. New technology has introduced a third option that deserves consideration from people looking to get the best results: pellet grills. Let’s dive into a comparison of pellet grills and gas burning grills to help you decide which option is best for you. If you are in the market for a grill, you have several things to consider in making the right choice. What foods will you be cooking? Will you be grilling for one, or providing food for many? How much of your time and effort are you willing to invest in outdoor cooking? Your answers to these questions should inform your choice of grill. To help you get started, here are the relative merits of wood fire/pellet versus gas grills. Gas grills, whether liquid propane or natural gas, are not capable of adding flavor. As we all know, gas has no flavor. While the addition of a smoke box filled with wood chips can be used to impart smoky flavor, the full flavor profile that is possible with a Memphis simply cannot be achieved with a gas grill. A Memphis Wood Fire Grill gives you the opportunity to cook with a range of flavor options, including apple, cherry, hickory, maple, mesquite, and oak wood pellets. The use of hardwood pellets as fuel allows for a wide variety of flavor combinations and easy customization. Certain wood flavors complement specific foods, which allows for a wide variety of culinary creations and flavor combinations. Additionally, with the Pro and Elite models’ dual pellet hopper, which allows you to mix and match flavors! You can learn more about which pellet flavors work best with certain foods with our Pellet Guide. The reason many people choose gas grills over charcoal grills is that the gas burning options are so much easier to master. You can set a gas grill and expect that the temperature will remain consistent as long as the gas is flowing. This is the primary benefit of gas grills, but it disappears when you compare them to a Memphis. The combination of our Intelligent Temperature Control (ITC)™ system and the Memphis Mobile App gives users the ability to perfectly control their grill from anywhere. The system is extremely simple to use and master, and it will help you create perfect, predictable results every time. If you intend to cook hot dogs or maybe burgers and nothing else, gas grills might be your best bet. They heat up quickly, cool quickly, and clean up easily. But if would like to expand beyond the most basic dishes, you will quickly find that a gas grill just isn’t up to the challenge. Smoking meat requires wood. Some gas grills have smoke boxes for burning wood chips, but they are far from ideal options when it comes to low and slow cooking. Memphis Wood Fire Grills can be used as high-temperature grills, smokers, and convection ovens. They can cook food in more and better ways than any gas grill on the market. If you want to sear a steak, smoke a brisket, or bake a batch of brownies to finish off your perfect meal, gas grills have little to offer. Which Grilling Option Is Best for You? You know how you like to cook. The right grill can open your options and allow you to master dishes you might otherwise never attempt. 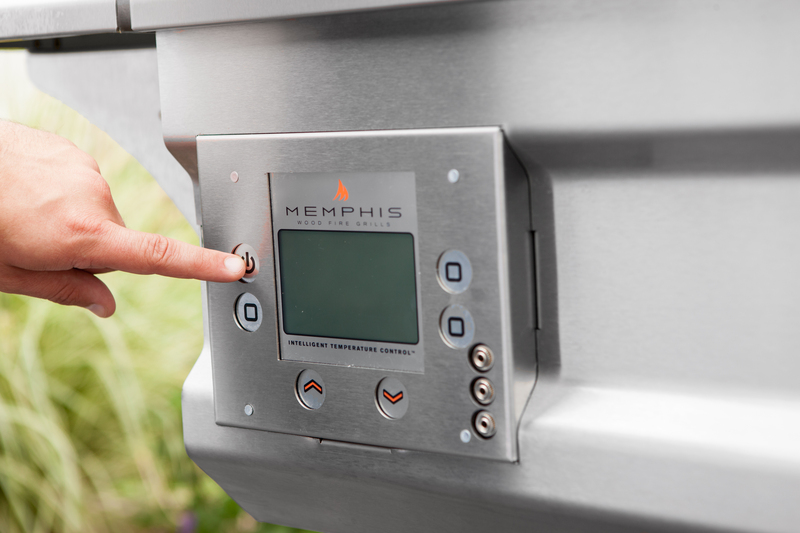 When it comes to deciding whether you want a gas grill, or a Memphis Wood Fire Grill, we think the choice is clear. Check out our handy Grill Comparison Chart to compare gas, kamado, and pellet grills with the Memphis Wood Fire Grill.